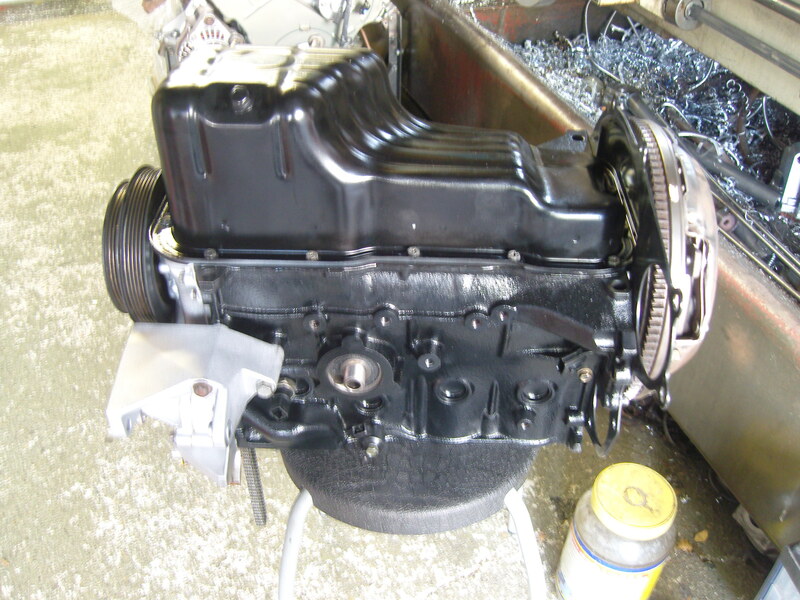 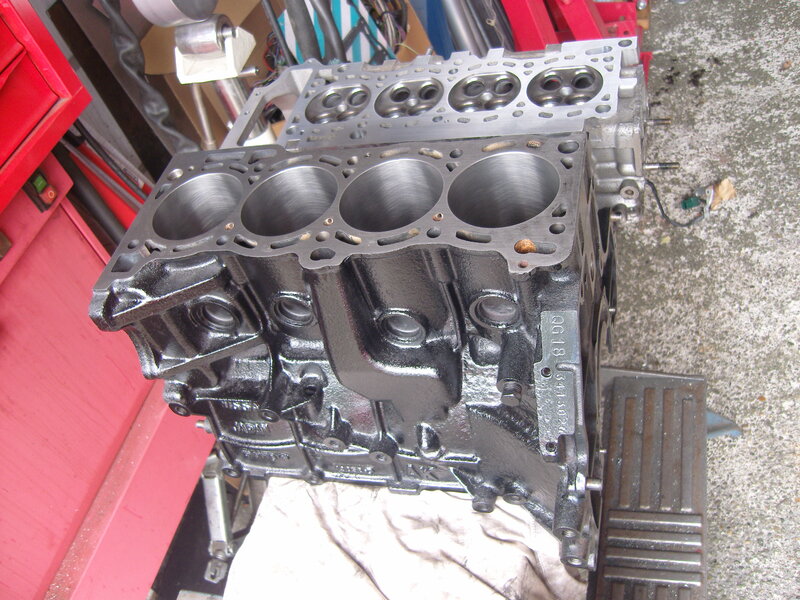 This page covers the rebuild of a Nissan QG18DE engine in 2015. 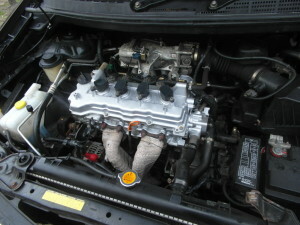 This engines was fitted to several Nissans from 2001 on. 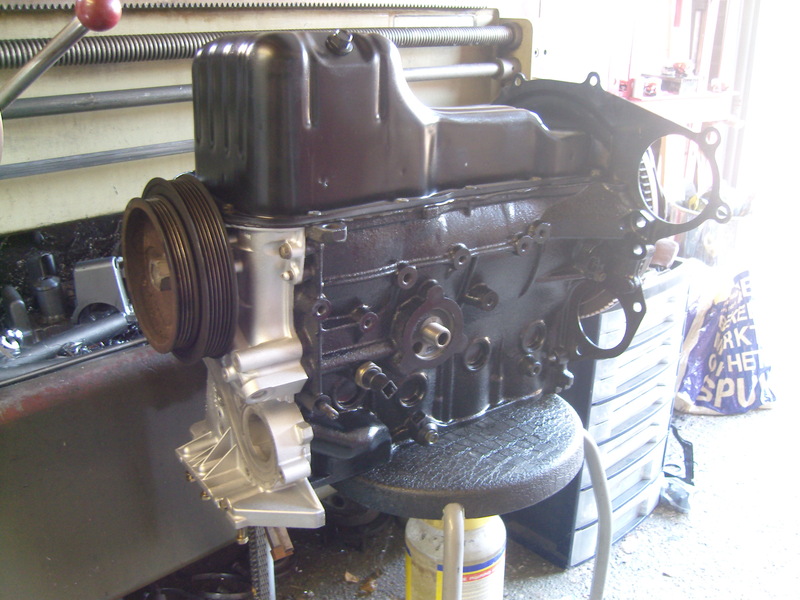 It features a steel block, an aluminium head with chain drive and 4 valves per cylinder. These engines are known for their high oil consumption, some so bad they were replaced under factory warranty. The oil consumption worsens with age, and at 190.000km, passed the 1 liter/1000km mark for this engine. 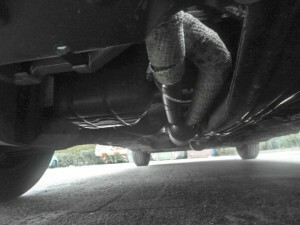 The car was mainly used for long trips so it would be much worse with more ‘local’ use. I performed a compression test and found over 10% discrepancy between cylinders, cylinder 4 being worst. The engine was taken out and the cause for the consumption and poor compression was quickly established. 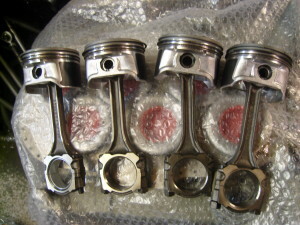 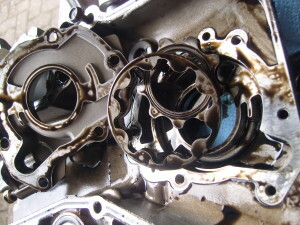 The oil rings on the pistons had seized up from oil sludge. 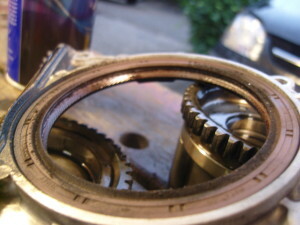 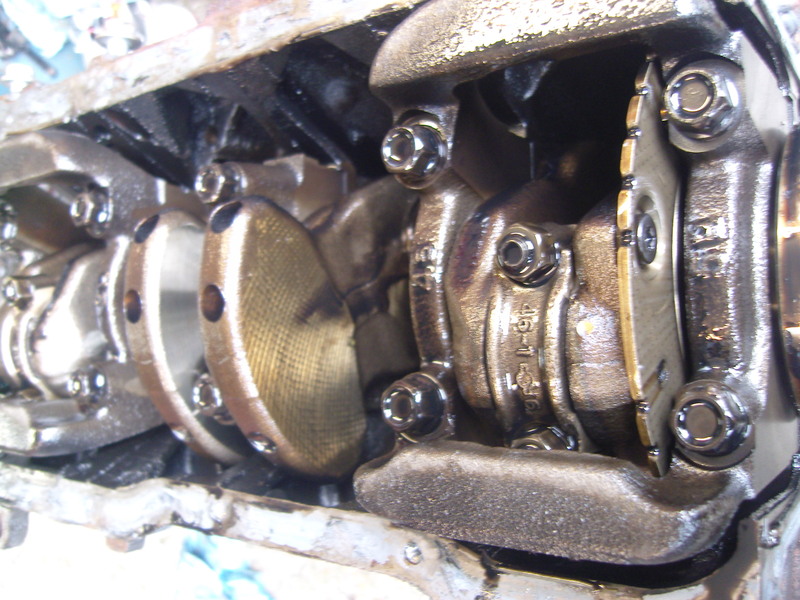 The sludge hardens, allowing no more oil to flow freely through the rings and holes in the piston. 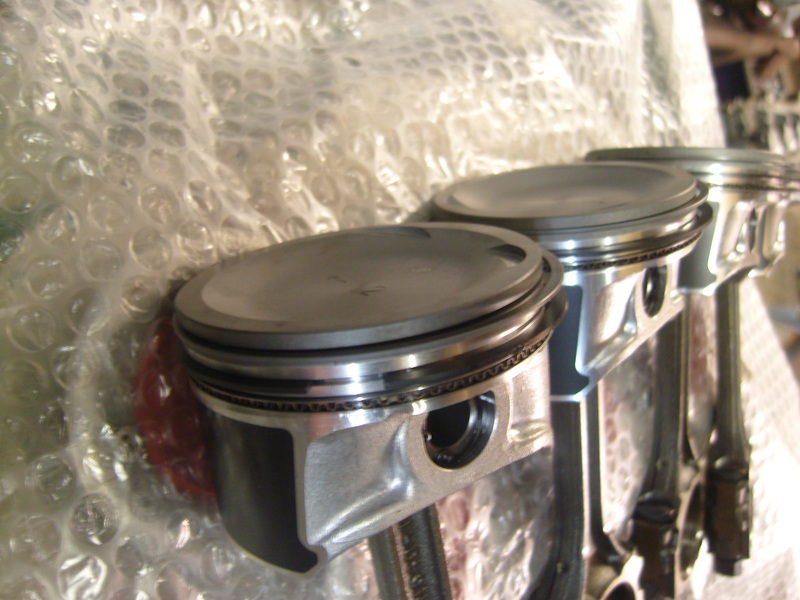 The lubrication goes down and over time so does the quality of the cylinder walls. 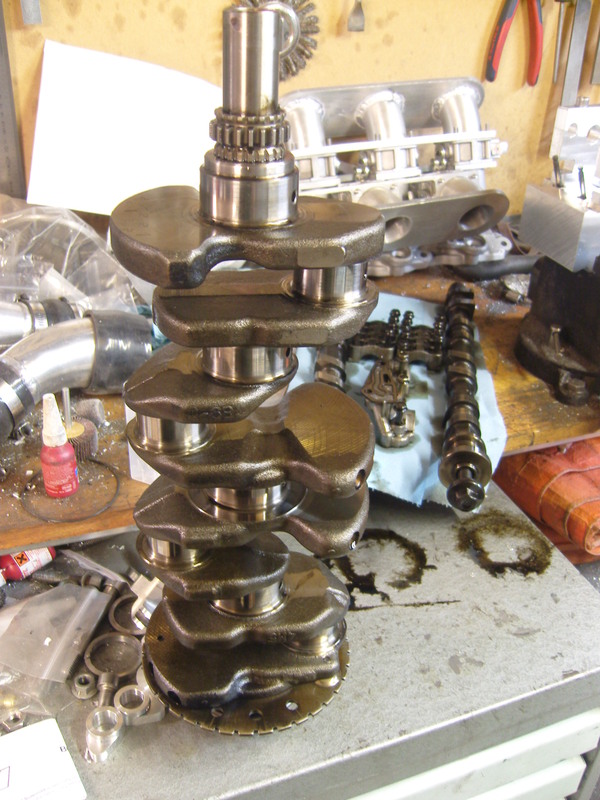 The engine shop noted that this happens a lot to engines like these that run very thin oil rings with barely any side clearance. 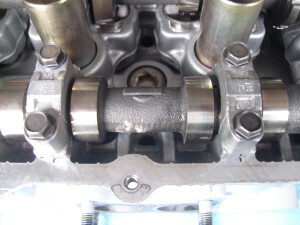 The only way to fix this is to bore the cylinder 0,50mm oversize and install new oversized pistons and rings. These engines are of the so called lean-burn type and are pretty economical. However, the lean burn takes it toll. 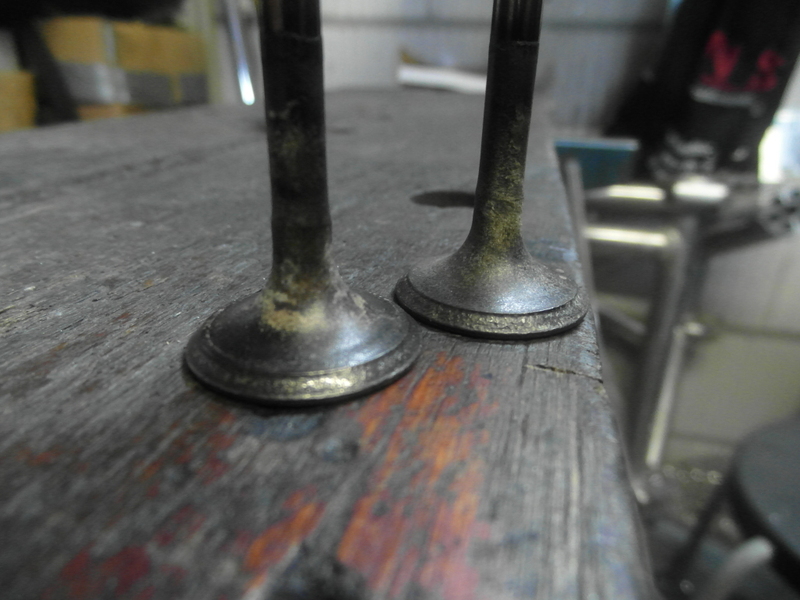 One of the exhaust valves on cylinder 4 (the one with the worst compression test values) had a severely worn seat face, I was surprised the valve hadn’t fully burned yet. The catalyst converter was in part broken down and blocked from flow. 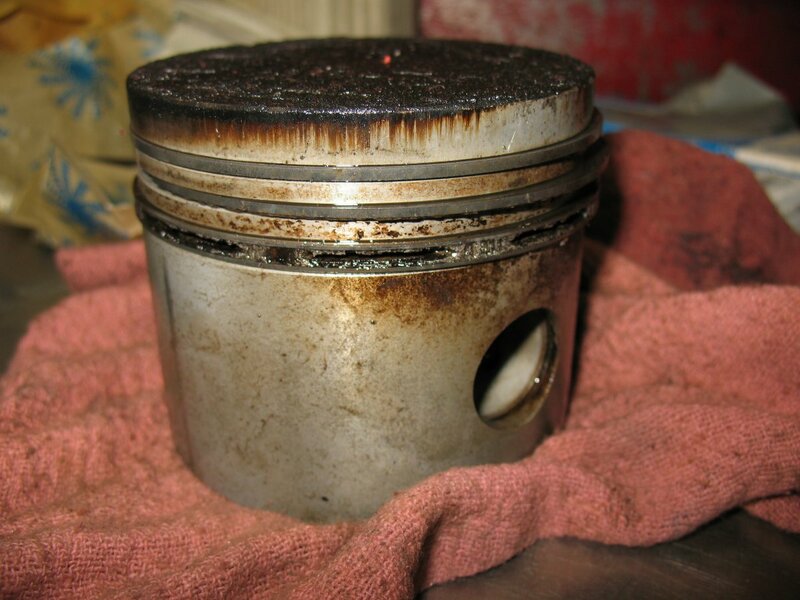 The picture of the piston is not this engine but looked just like it. The rebuild job was pretty casual, apart from the exhaust valves and pistons no parts showed any sign of wear. 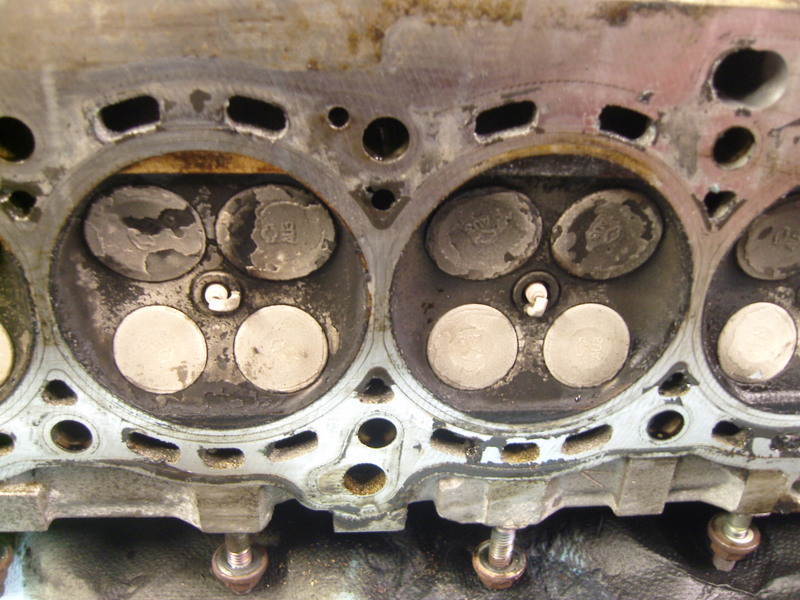 The head, valve cover and oil pan contained minor oil sludge that was flushed away easily. 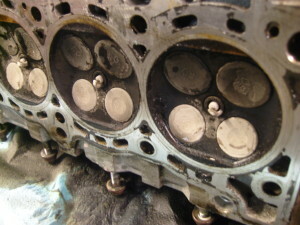 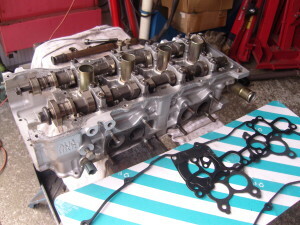 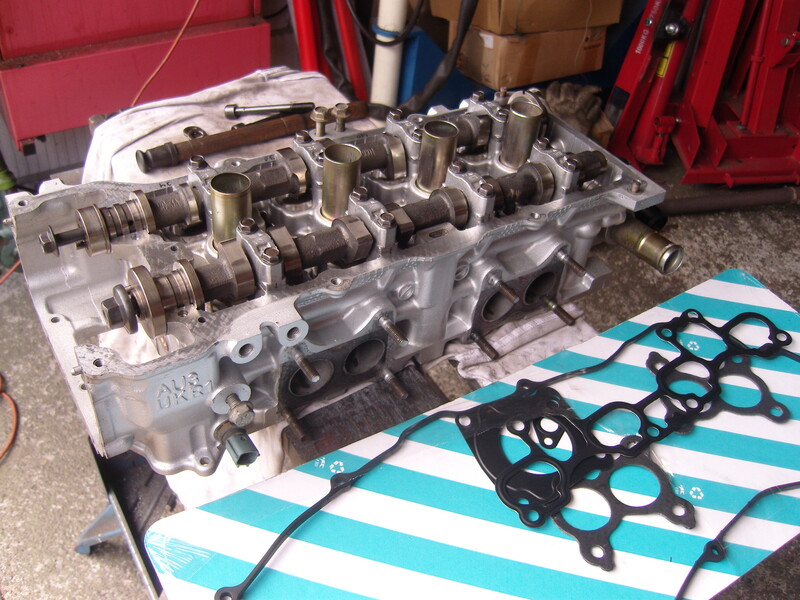 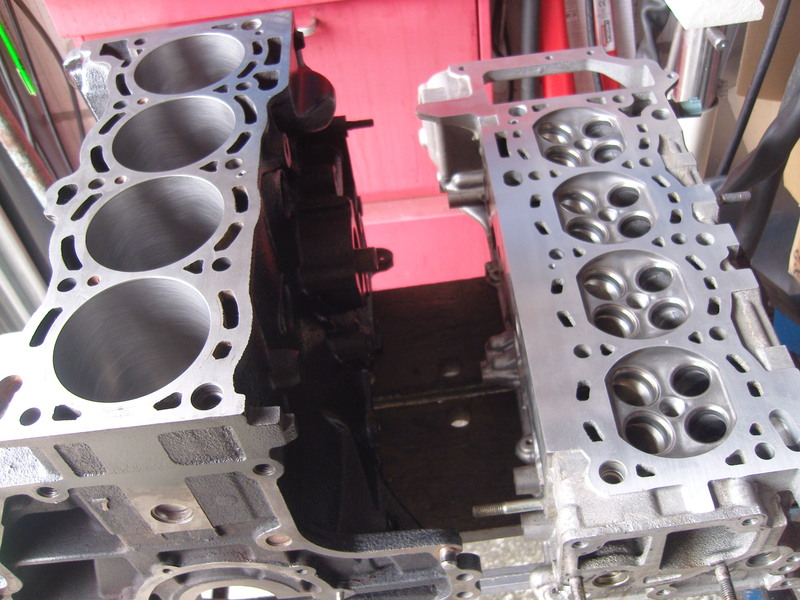 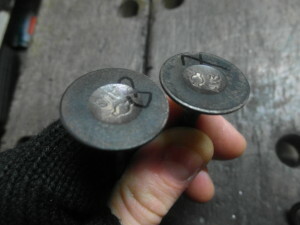 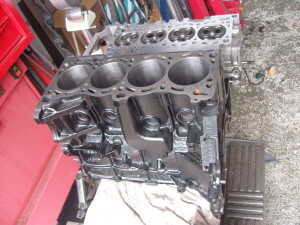 The block deck was perfectly straight, although the head was resurfaced (mandatory in particular when using a steel head gasket). 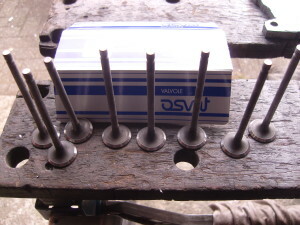 The bucket type valve lifters avoid sideways forces on the valve guides so that they never really wear out. The valve seats were all good after a simple lap, as the valves had taken up the brunt of the beating. It’s the price for cleaner emissions. One of the new Osvat valves was too short (manufacturing error), so to save time during the wait I decided to mount the lower end back into the car and put the head on later. The valve buckets are not self adjusting, but fortunately, all new exhaust valves were too long, I only had to cut them down between 0.20-0.35mm for correct clearance. Since the factory catalyst had to be replaced and I didn’t want to spend 500 euro’s at it, I made a custom stainless exhaust manifold with a cheap new universal Magnaflow catalyst behind it. In the 90’s more manufacturers started placing the catalyst right after the head, cutting of the exhaust manifold. 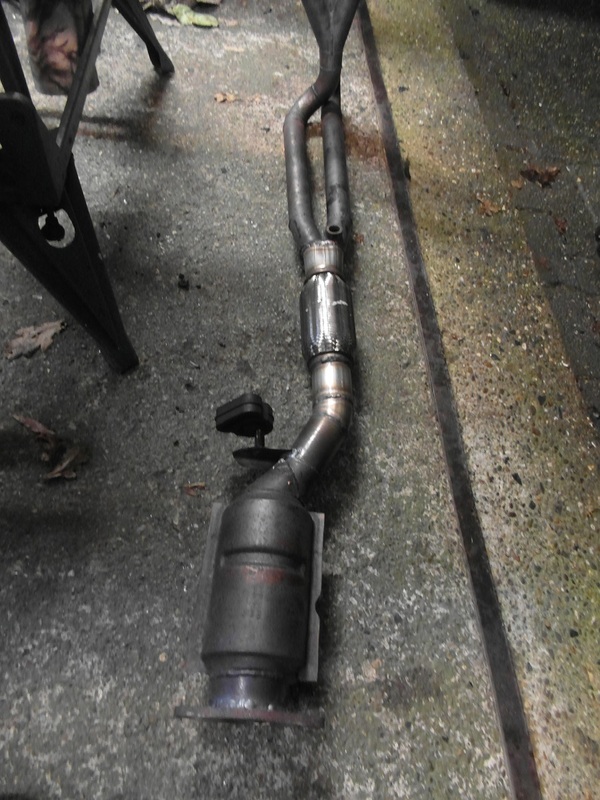 This helps with cold-start emissions as the catalyst warms up much faster compared to mounting it 150-250cm further downstream in the exhaust. But in doing so, the performance of the engine is reduced, and fuel consumption increased. 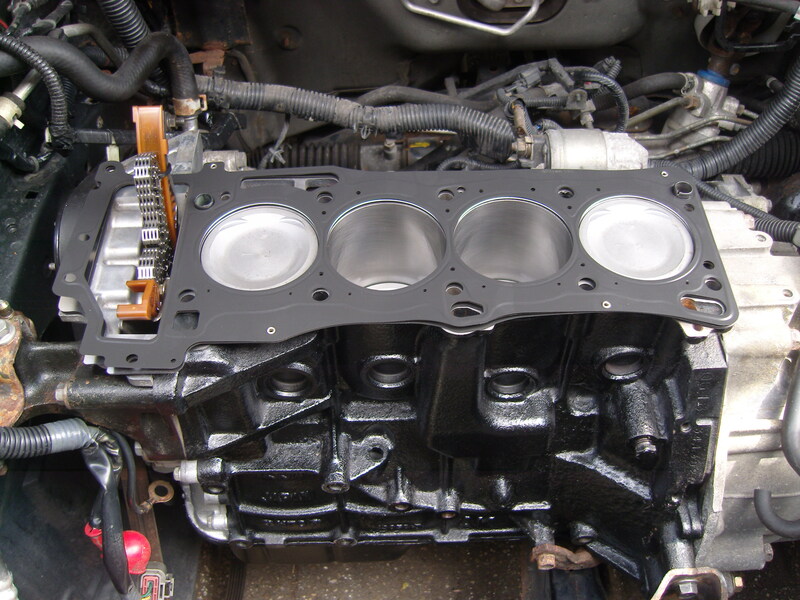 The new custom manifold is a 4-2-1 design, meaning cylinder 1&4 are paired as well as 2&3. 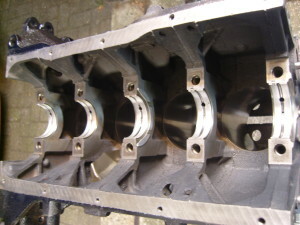 Each cylinder head port has it’s own outlet pipe of 38×1,5mm, after 45cm meets a joint pipe with the paired cylinder, then flows through a single 40×1,5mm pipe before meeting the last joint after 80cm where both pipes join into the catalyst. 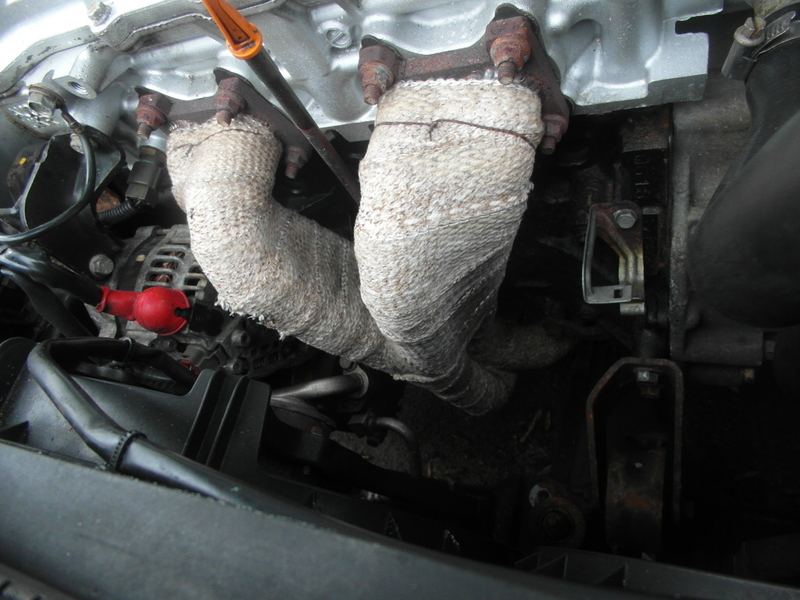 As this car has no engine undertray, the manifold was packed in heat wrap to ensure enough heat reaches the catalyst. 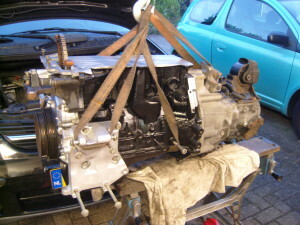 Since the rebuild the engine has covered 34.000km and is doing much better than it used to. 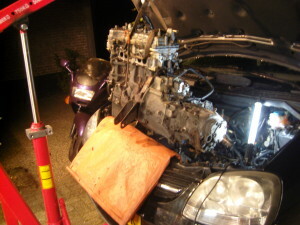 The oil consumption has dropped significantly to the point that I only check it every 3000km. 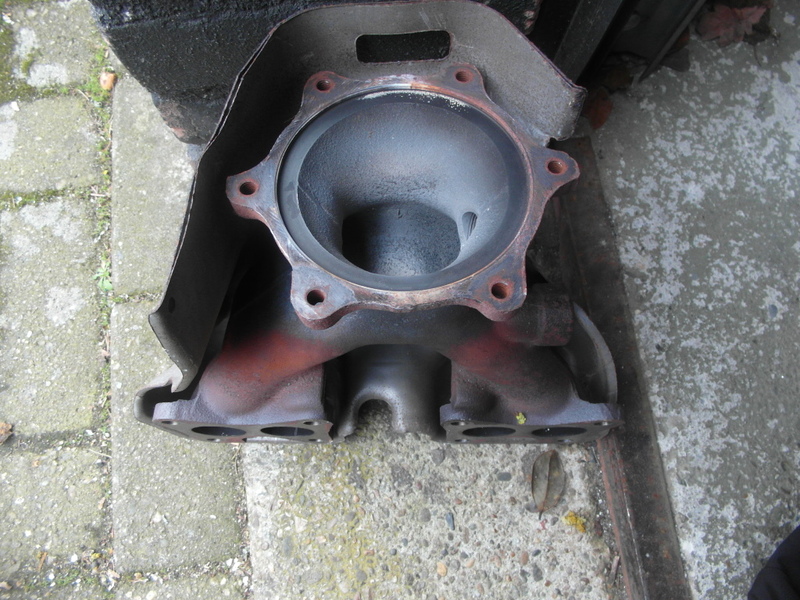 Along with the new manifold and catalyst, raised compression from the skimmed head, I also milled down a couple of nasty casting ridges within the intake manifold for additional airflow. As a whole the engine’s been pretty much transformed. 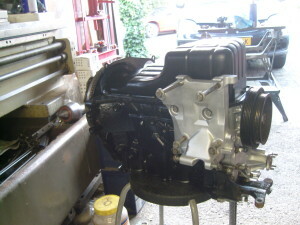 It’s much more responsive and seems to have close to 15% more power over the entire rev range. Like I predicted (and has been noted by others after installing a 4-2-1 manifold with catalyst mounted like this) the engine runs more economical. 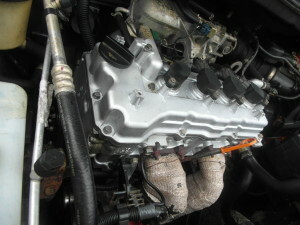 According to the trip computer, it used to consume 7,4-7,7 liter per 100km, now the trip computer displays a permanent 7,1 per 100km under identical driving circumstances. During the annually road approval test at 225.000km the rear engine mount turned out to be sagged. 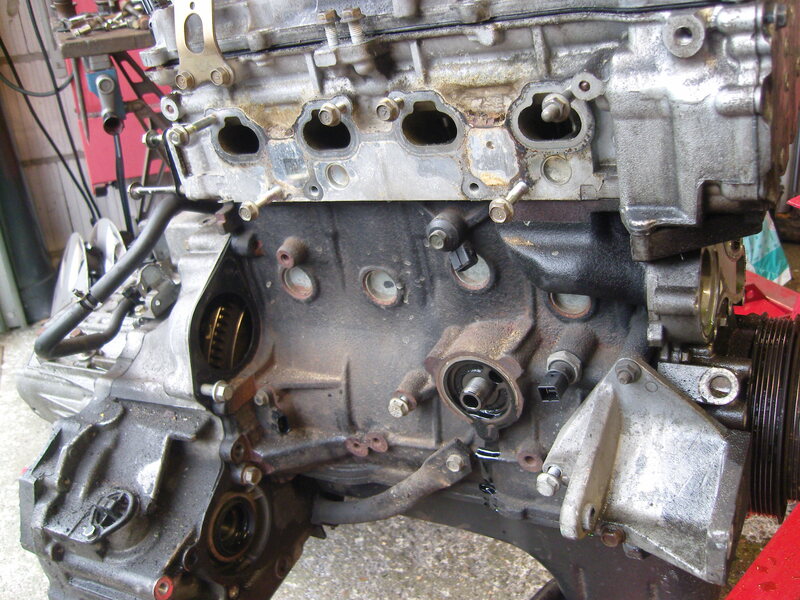 This must have happened before the engine rebuild/new manifold, as when I replaced it, the engine lifted at the back causing the catalyst to hit the subframe. 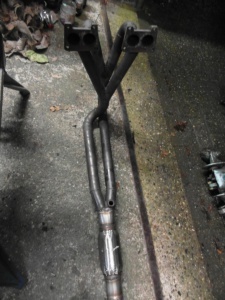 I modified the exhaust by placing the catalyst further downstream in the exhaust and welding a flex joint in it’s place. 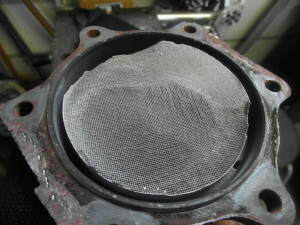 At around the same time the lambda probe required replacement. After replacing this, and swapping over from cheap 10w40 to 5W30 (C3 DPF from MPM) the fuel economy has increased again. The trip computer indicates a fuel consumption of about 6.9 liter per 100km.